We take pleasure to announce "American Ceramics 2019" scheduled on Oct 31-Nov 01, 2019 in Chicago, USA. American Ceramics 2019 aims to bring together leading academic scientists, researchers and research scholars to exchange and share their experiences and research results on all aspects of Ceramics and related fields. It also provides a wonderful opportunity for all the researchers, practitioners and educators, lab experts, industry people and young researchers to meet at one place to share and gain knowledge through oral and poster presentations in the field of Ceramics, Composites, Biomaterials, Advanced materials, materials science, Polymers, Powder Metallurgy, Sintering, Graphene technology and carbon materials. Ceramic engineering is a branch of engineering which deals with the science and technology of creating object from inorganic and non-metallic materials. Ceramics play an important in the field of Medicine, Constraction, Electronics, Military, Optical fibres, Sports, Aerospace etc. The use of ceramic material is on the rise as it a low-cost and efficient material. As the applications of Ceramic material is expanded extremely due to the recent advances in the field of medicine which include bio-ceramics and other. Also help in emerging materials that enclose and support aircraft engines. American Ceramics 2019 provides a striking opportunity to meet worldwide experts who are active in the concerned field. It is your best platform to reach the largest assemblage of participants from the Ceramics community all around the world. Presentations meet with current and potential scientists with new innovations. The Ceramics conference invites you for the prominent keynote lectures, plenary talks, young research forum, poster presentations, workshops, Exhibitions and career guidance sessions from various universities and associations. Track 1. Ceramic Materials: Ceramics are essentially inorganic and non metallic compounds and can be oxides, carbides, nitrides, sulphides, oxynitrides, oxicarbides, oxyfluorides, etc. Ceramic materials are different because of their properties. They usually possess high melting points, low electrical and thermal conductivity values, and high compressive strengths. Also they are usually hard and brittle with very good chemical and thermal stability. Ceramic materials can be classified as traditional ceramics and advanced ceramics. Ceramic materials like clay are classified as traditional ceramics and normally they are made of clay, silica, and feldspar. Traditional ceramics are not supposed to meet rigid specific properties after their production, so cheap technologies are developed for most of the production processes. Track 2. Composite Materials: Composites are made from two or more different materials with expressively different physical or chemical properties that, when combined, produce a superior product with characteristics different from the individual components. Composites are much lighter in weight, resist corrosion and flexible. Composite materials are usually used for buildings, bridges, concrete and structures such as boat hulls, swimming pool panels, racing car bodies, shower stalls etc. Track 3. Ceramics and Glasses: Ceramics and glasses are inorganic, nonmetallic materials containing of metallic and nonmetallic elements bonded mainly with ionic and covalent bonds. These high strength bonds give special characteristics of these materials. They occupy a distinct place in the spectrum of engineered materials offering various desirable changes to the metals and polymers in common usage. Glass-ceramics have an amorphous phase and one or more crystalline phases which are formed by a process called controlled crystallization. Track 4. Surface Science and Ceramic Coatings: Surface science is a branch of engineering which explains the physical and chemical phenomena that occur at the interface of two phases, including solid–liquid interfaces, solid–gas interfaces, solid–vacuum interfaces, and liquid–gas interfaces. It contains the fields of surface chemistry and surface physics. Ceramic coating is a strong coat which contains a liquid polymer. When ceramic coating is applied on an object, the polymer forms a chemical bonding with the factory paint. Once coated, it can only remove by abrasion and not by any chemicals. Track 5. 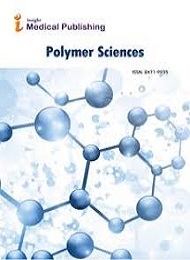 Polymer Science and Engineering: Polymers are useful chemicals which are made up of many repeating units. A polymer can be a three dimensional network, two-dimensional network or a one-dimensional network. Each repeating unit is the basic unit with “poly-mer” meaning many repeating units. Repeating units are often made of carbon and hydrogen and sometimes oxygen, nitrogen, sulfur, chlorine, fluorine, phosphorous, and silicon. many links or “-mers” are chemically hooked or polymerized together to make the chain. These materials have unique properties, depending on the type of molecules being bonded. Some polymers bend and stretch like rubber and polyester, others are hard and tough like epoxies and glass. Track 6. Materials Science and Engineering: Materials science is a hybridizing discipline of discovery and design of new materials. Materials science is a syncretic discipline of chemistry, hybridizing metallurgy, ceramics and solid-state physics. 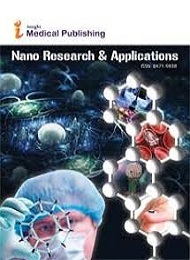 Materials science involving the properties of matter and its applications to various areas of science and engineering. It includes elements of civil, chemical, electrical and mechanical, applied physics as well as chemistry. Materials engineers work with plastics, metals and ceramics to produce new materials. Materials engineers develop, process, and test materials used to create a variety of products, from aircraft wings and computer chips to golf clubs, optical and biomedical devices. Track 8. Powder Metallurgy: Powder metallurgy is a term which covers extensive variety of ways in which components or materials are made from metal powders. Powder metallurgy processes can avoid, or impressively shrink, the necessity to use metal removal processes, thereby radically reducing yield losses in manufacture and frequently resultant in lower costs. The basic powder metallurgy steps are Powder production, Mixing of powders, Forming of the mixed powder into a compact, Sintering of the compact to enhance integrity and strength, Secondary operations. Track 8. Advanced Materials: Materials that are developed in high-technology applications are named as Advanced materials. Advanced materials discuss around the all new materials and modifications to present materials to attain more performance in one or more characteristics that are critical for the application under reflection. These materials are usually traditional materials whose properties have been recently advanced, and also enhanced, high-performance materials. Moreover, they may be of all material types (e.g., metals, ceramics, polymers), and are typically luxurious. Advanced materials include semiconductors, biomaterials, and smart materials and nanoengineered materials . Track 9. Biomaterials: Biomaterials can be derived any from nature or synthesized in the laboratory spending a variety of chemical methodologies using ceramics, metallic components, composite materials, or polymers. These materials are non-viable materials that can be implanted to replace or repair missing tissue. When used in a medical application, biomaterials can be embedded to replace or repair missing tissue. The study of biomaterials is called biomaterials engineering or biomaterials science. Biomaterials science involves elements of materials science, tissue engineering, biology, chemistry and medicine. Track 10. Advanced Graphene and Carbon Materials: Graphene is an allotrope of the element carbon, it possesses the same atoms but they are arranged in a different way, giving the material different properties. It is the basic structural element of many other allotropes of carbon, such as charcoal, carbon nanotubes, fullerenes and graphite. Graphene has several special properties. It is conducts heat and electricity efficiently; strongest material ever tested, and is nearly transparent. Graphene shows a nonlinear diamagnetism and large, greater than that of graphite, and can be levitated by neodymium magnets. Carbons are used for water and air purification, carbon foams are used to make fire retardant insulation, carbon fiber composites are used to manufacture ultra-light graphite sporting goods and aircraft brakes, carbon black is used to reinforce tires. Track 11. Electronic, Optical and Magnetic Materials: Electronic materials are usually used as core elements in a variety of device applications. These elements can be bulbs, TV, monitors, mobile phones, computers, laptops, tablets, GPS devices, memories, displays, LEDs. Optical materials are used to control the flow of light. This can include reflecting, splitting an optical beam, absorbing, focusing. Magnetic materials are used generally for their magnetic properties. The magnetic response of materials is basically determined by the magnetic dipole moment associated with the intrinsic angular momentum, or spin, of its electrons. Track 12. Sintering: Sintering happens mainly in manufacturing processes or in mineral deposits used with plastics, metals, ceramics, and other materials. The atoms in the materials diffuse across the boundaries of the particles, coalescing the particles together and producing one solid piece. Because the sintering temperature does not reach the melting point of the material. It is also a shaping process for materials with tremendously high melting points such as tungsten and molybdenum. The study of sintering in metallurgical powder-related processes is called as powder metallurgy. Sintering is effective when the process reduces the porosity and enhances properties such as translucency, thermal conductivity, strength and electrical conductivity. Track 13: Sol gels and Organic Chemistry: The process of settling the particles from a colloidal suspension onto a pre-existing surface, resulting in ceramic materials. The desired solid particles are suspended in a liquid, creating the 'sol', which is deposited on a substrate by coating, spinning and dipping and transferred to a mould. The particles in the sol are polymerised by partial evaporation of the solvent or addition of an initiator, forming the 'gel', which is then heated at high temperature to give the final solid product. Organic chemistry focuses on molecules mainly composed of carbon and hydrogen, other elements such as silicon, sulfur, oxygen, phosphorus, and nitrogen. Organic chemistry include organometallic chemistry, which is the study of carbon-based compounds that contain metals, and bio-organic chemistry, which combines organic chemistry and biochemistry. Methods of organic chemistry are used in materials science, medicinal chemistry and natural product chemistry. American Ceramics 2019 offers a platform for world-wide Researchers, Scientists, Professors, Engineers, and CEO’s of Ceramics and composite materials companies to share their research experience and indulge in interactive discussions on all aspects Ceramics, Composite materials. Join us for two intensive and exciting days of discussion on modern Ceramics research. American ceramics 2019 provides wide range of sessions that discourse the current innovations and novel approaches for the expansion of ceramics to meet the global requirements. American ceramics 2019 covers major subjects Ceramics, Composites, Biomaterials, Advanced materials, materials science, Polymers, Powder Metallurgy, Sintering, Graphene technology and carbon materials. The organizing committee of American ceramics 2019 is arranging an exciting and informative conference program this year which includes plenary lectures, symposia, workshops on a variety of topics, poster presentations, exhibitions and various programs for participants from all over the world. We invite you to join us at the American ceramics 2019, where you will be sure to have a meaningful experience with scholars from all around the world. All members of the materials Science organizing committee look forward to meeting you in Chicago, USA. Chicago, on Lake Michigan in Illinois, is among the largest cities in the U.S. Famed for its bold architecture, it has a skyline punctuated by skyscrapers such as the iconic John Hancock Center, 1,451-ft. Willis Tower and the neo-Gothic Tribune Tower. The city is also renowned for its museums, including the Art Institute of Chicago with its noted Impressionist and Post-Impressionist works. Ceramics and composite materials are the biggest as well as the fastest growing market for technical ceramics, having a important share of about 39.74% of the total market in 2013. Among the various major product types of technical ceramics, monolithic ceramics leads the market with almost 66.20% of the total technical ceramics market share in 2013. Ceramic matrix composite is additional major product segment and is expected to grow significantly, from 2014 to 2019. Ceramics world market is progressively expanded, estimated to represent extensive size as every segment keeps on developing. Presently standup at USD 296.2 billion, the ceramics market is estimate to grow to USD 502.8 billion by 2020, as every industry succeeds improved high renewable energy efficiency along with manufacturing efficiency. The global composites market size is estimated to extent USD 130.83 billion by 2024, according to a new report by Grand View Research, Inc. It is estimated to grow at a CAGR of 7.8% over the forecast period. Increasing demand for lightweight materials from aerospace industries and automotive is likely to effort market growth. Increasing need for lightweight vehicles is anticipated to fuel composites market growing over the forecast period. U.S. and Europe are the key regions in the defense and aerospace sector with aircraft manufacturers. The composites market has observed backward as well as forward integration from numerous raw material manufacturers. In-house obtainability of major raw materials and production and application of carbon fiber aids the manufacturers to reduce logistics rate. It also aids them cater to several end-use product manufacturers directly to improve cost-effectiveness. Worldwide ceramic matrix composites market was esteemed at $3,900 million in 2016, and is estimated to reach at $7,707 million by 2023, cataloguing a CAGR of 10.3% from 2017 to 2023. Crystal-like in nature ceramic materials are inorganic and non-metallic solids. Ceramic matrix composites (CMC) are defined as a collection of composite materials consisting of ceramic fibers implanted in a ceramic matrix. Furthermore, this ceramic matrix is composed of carbon fibers, which are well-known as carbon-fiber-reinforced carbon. Furthermore, high electrical conductivity and thermal stability have improved the applications of ceramics in various electronic and thermal management applications where high efficiency is obligatory. In addition, ceramic composites are used in aerospace & defense industries, electronic products, thermal management to improve the structural performance. Additionally, these composites are used in engineering applications including heat shield systems, brake disks, and brake system components for airplanes, rocket engines, gas turbines components, and cars to protect from extreme, wear resistance, high corrosion, and thermal shock. Advance TEC | Aegis Technologies | Angstrom Engineering | American Dye Source, Inc | Applied Nanotools Inc. | Advance Reproductions | Indigo Instruments | Klean Carbon | MCH nano solutions | MFS Technologies Ltd | IMEMS | Advanced Diamond Solutions | AEB | Advanced Energy | D-Wave Systems ADVANO | Advenira solutions| Delong America group Inc. | Electronics.ca Publications | Epoc Blood Analyst System | Innovative Bioceremix,Inc | 3D systems | 4WAVE | A&A coatings | A Beam Technologies | Accelrys (BIOVIA) | Aculon Performance and solutions | ADA Technologies,Inc | Ade 10 Angstroms | Advanced optical technologies | Clemex Technologies Inc. | Cytodiagnostics Inc.